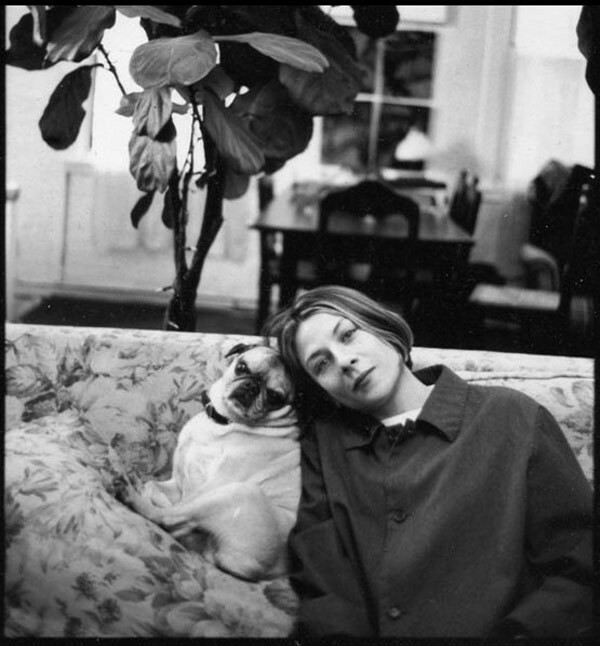 All fiction should be immersive, but reading a novel by American author Donna Tartt is like entering a parallel universe, constellated by sumptuous descriptions and erudite references, suspenseful twists and jolting turns, as well as characters so fully fleshed out that you mourn their absence long after returning the books to their shelves. 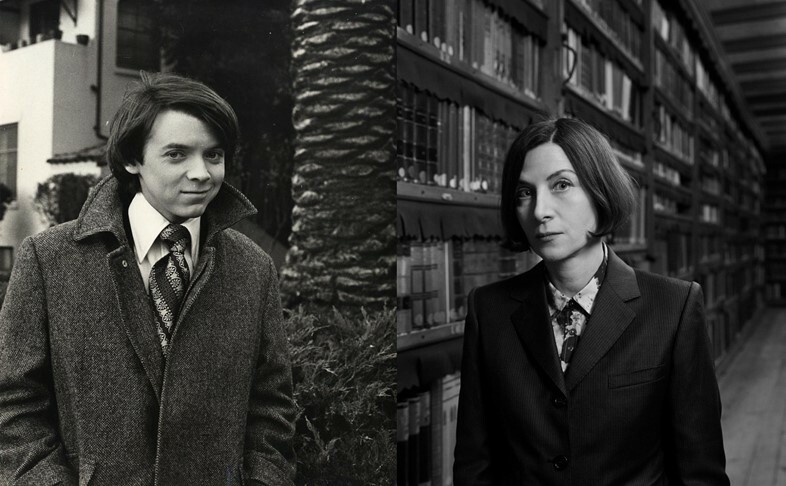 But although her literary creations are richly expansive, Tartt herself remains largely mysterious; since the release of her brilliant debut novel, the beguiling, college-based ‘whydunnit’ The Secret History in 1992, she has kept a pointedly low-profile, only giving interviews and speaking at public events in the immediate aftermath of a new novel’s release. And as it famously takes her a decade to craft each meticulously realised tome – her sophomore work The Little Friend, about a murdered child and his sister’s misguided quest for revenge, was released in 2002, followed by The Goldfinch in 2013, the exquisite odyssey of an orphaned boy named Theo Decker and a stolen Dutch masterpiece – the opportunities to explore the inner-workings of her scrupulous imagination have been few and far between. As such, the author has been the subject of frequent hearsay, from speculations on her supposed celibacy to rumours of reclusiveness or breakdowns, but watch any of the interviews with her online and you will find the singular creative expounding freely on her processes and preoccupations (if not her private life) with the all of the eloquence and poeticism so present in her books. As production on the much-anticipated film version of The Goldfinch starring Ansel Elgort is confirmed for 2018 – the first cinematic interpretation of any of her books, Tartt having kept the rights to The Secret History famously under lock and key – we present a comprehensive guide to the self-proclaimed “hermit about town”, breaking down the elements that define her practice, from her key inspirations and influences to her unique working process and distinct sense of personal style. Tartt was born in Greenwood, Mississippi in 1963, and credits the southern love of storytelling with sparking her interest in creating narratives. She grew up surrounded by elderly family members, including a number of aunts, reminiscent of those in The Little Friend, who told her stories, spoke in a secret language and talked to cats. Her father, Don, and mother, Taylor, were both bookworms – the latter to the extent that she would read while driving – and passed down this passion to their eldest daughter. As a young child Tartt memorised lengthy poems by A.A. Milne before moving onto Edgar Allan Poe, and to this day can recite T.S. Eliot, Dante and many more at the drop of a hat. At the age of 17, Tartt enrolled at the University of Mississippi. Soon, however, her talents were discovered by the writer and editor Willie Morris and she was encouraged to relocate to Bennington, the small but prestigious liberal arts college in Vermont. It was in her second year there, aged 19, that she began writing The Secret History – the chilling story of a small coterie of haughty yet enchanting Classics students, taught by an elitist aesthete named Julian Morrow, who have murdered one of their peers. It’s hard not to draw comparisons between Bennington and the fictional Vermont college of Hampden that the protagonists attend. Indeed, as Kaplan’s article highlights, Tartt herself is a devout Classicist and was a member of a select class of Bennington students taught Greek literature by the idiosyncratic professor Claude Fredericks. 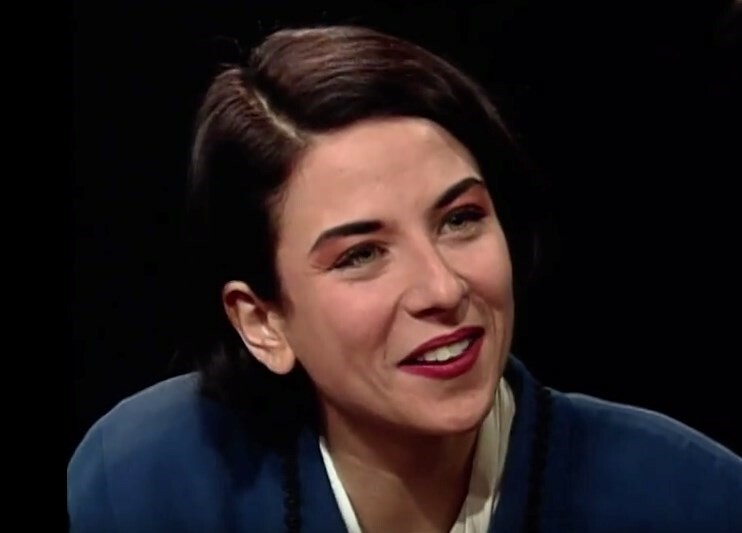 At Bennington, Tartt found herself among many gifted and like-minded peers, most notably Bret Easton Ellis who would become one of her closest friends, perhaps a lover, and to whom The Secret History is co-dedicated. He read various drafts of the book, and nods to it in his second novel Rules of Attraction (1987) twice mentioning “a weird group of Classics majors” who dressed like undertakers and engaged in pagan rituals. Tartt has always taken charge of her image. Visually, she cuts an arresting dash, not only thanks to her petite stature, angular raven bob and alabaster skin, but also to her array of sharply tailored trouser suits, which she pairs with pinstriped shirts, ties in jewel-like hues, brightly coloured socks and brogues – she describes Harold from Harold and Maude as her style icon. The effect is intellectual and idiosyncratic, literary and romantic; she looks like a character from her own books – and indeed always describes her protagonists’ clothes in vivid detail (think of the supercilious Henry Winter in The Secret History, who wears round steel-rimmed spectacles, “dark English suits” and carries an umbrella; or Theo Decker who wears suits from Savile Row tailors Turnbull and Asser). Just as she takes immaculate care over her appearance, Tartt also tightly controls the information she offers about her private life, and refuses to disclose any overlaps between her own story and those she writes. Her oft-quoted declaration (some 15 years ago, in French) that she would never marry has haunted her, frequently arising in interviews, but although she has been romantically linked to both Ellis and Nicholas Shakespeare in the past, she has still only ever admitted affection for her pug, Pongo, when speaking in public. Rather than reclusive shyness or devout celibacy, however, her reasons for doing so, she says, are a simple desire for privacy. “When I'm writing, I am concentrating almost wholly on concrete detail,” Tartt once said, “the colour a room is painted, the way a drop of water rolls off a wet leaf after a rain.” She is similarly interested in exactly evoking characters, much like her hero Dickens, in whose novels she has noted “even the most minor walk-on characters are twitching and particular and alive”. This ability to vividly convey detail is something she achieves by constantly observing her everyday surroundings; she has kept notebooks with her since childhood and compulsively scribbles down ideas wherever she may be – on the bus, in the library, over lunch. 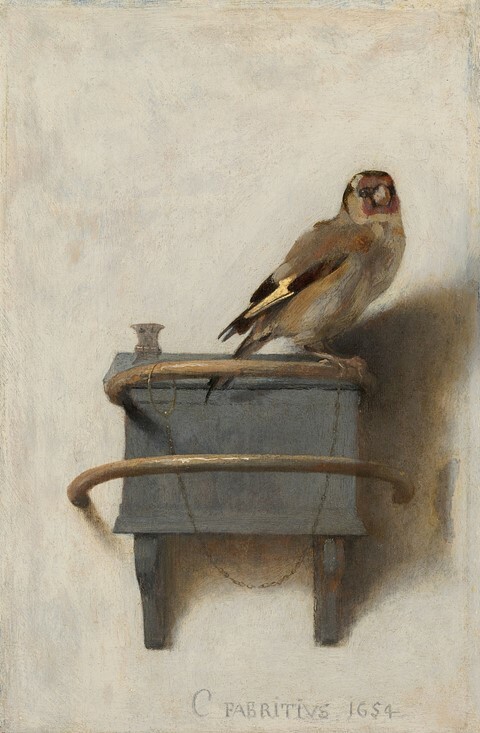 “My novels aren't really generated by a single conceptual spark, she has said, “it's more a process of many different elements that come together unexpectedly over a long period of time.” Case in point: Tartt began writing parts of The Goldfinch while in Amsterdam for the press tour of The Secret History, some 20 years before her third book’s release, when she encountered the delicate painting of the small bird, by Rembrandt’s pupil Carel Fabritius, so essential to Decker’s story.